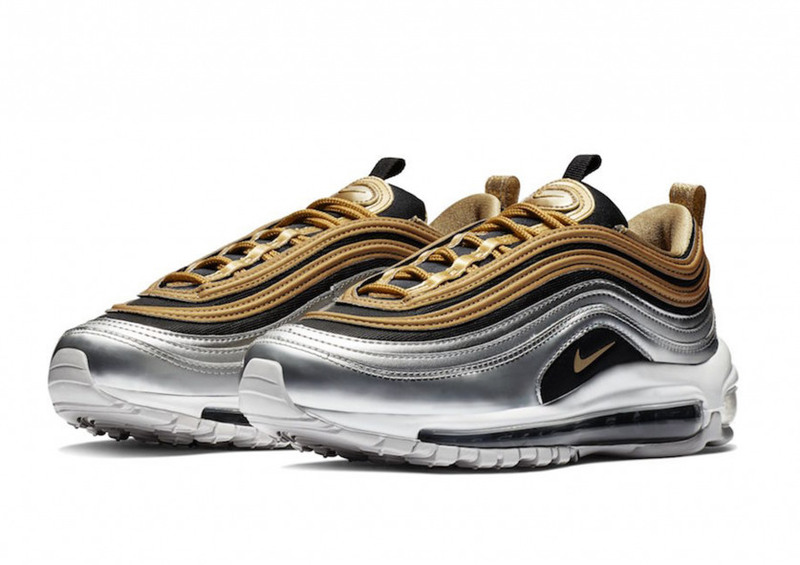 Inspired by the famous Japanese bullet trains, the Nike Air Max 97 Gold Silver features a very unique colour scheme. The top half of the upper is painted in a luxe gold hue, while the bottom half boasts an iridescent like effect that glimmers in the light. 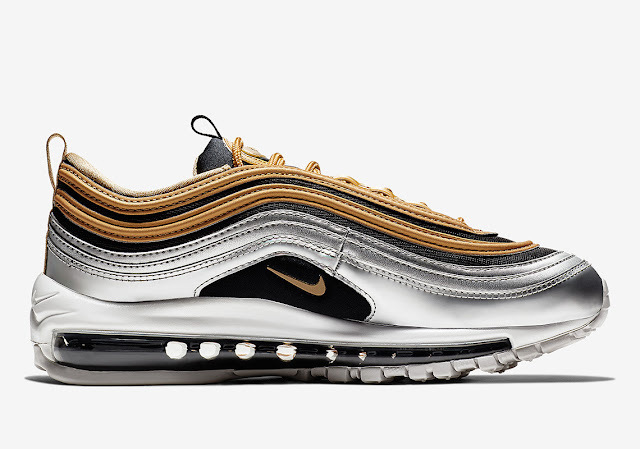 A small gold Swoosh logo can be seen on the side panels, and to round it all off, a full Air unit sits down below for additional comfort and a smoother stride. 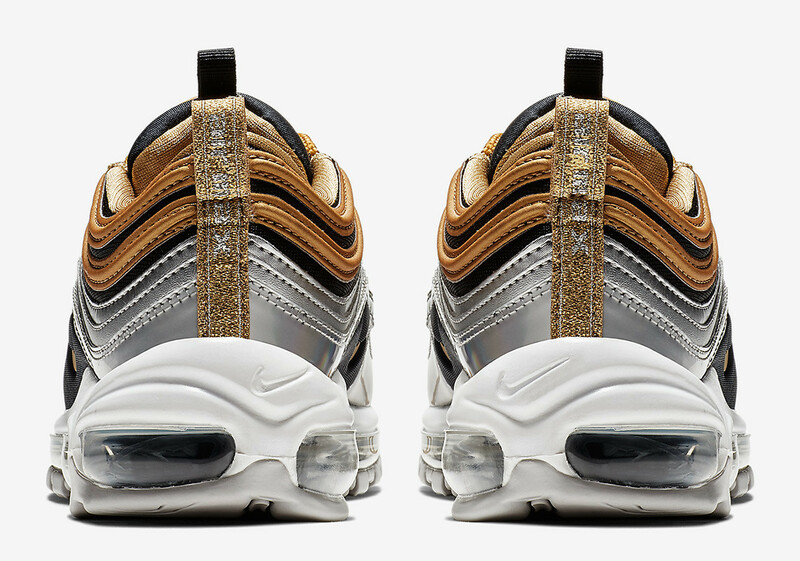 The Nike WMNS Air Max 97 SE - Gold/Silver drops today, 15 November 2018, at selected retailers.